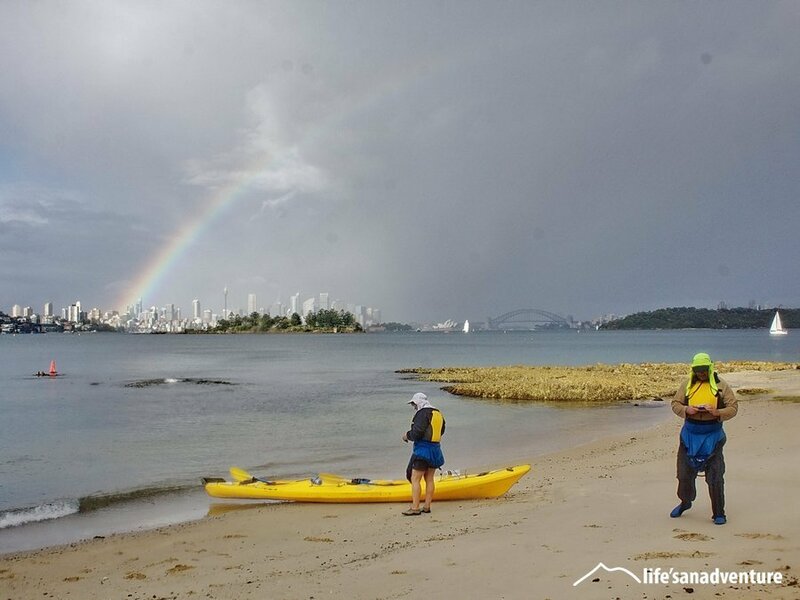 The highlight of the day on your kayak tour in Sydney, we’ll stop for a delicious picnic lunch at beautiful Shark Island. This beautiful island is only accessible by private boat and is situated in the centre of the harbour, providing fantastic photo opportunities of the Sydney Harbour Bridge and Sydney Opera House. Enjoy a delicious beach picnic lunch including refreshments while you take breathtaking views of the harbour. Your delicious picnic lunch will include smoked salmon, ham, fresh salads, refreshments and much more. 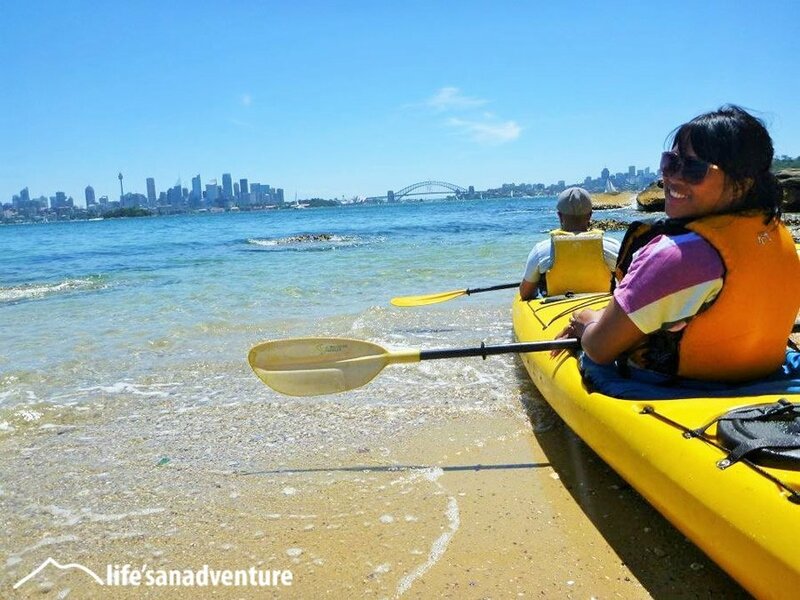 This Kayak Tour on Sydney Harbour is exclusive to Life’s An Adventure. What a day, what an adventure! Life’s An Adventure acknowledge the Cadigal Nations as the traditional owners of the inner Sydney region. Available daily subject to availability and minimum numbers. We run kayaking tours all year round. Important: While we always endeavour to take you on your preferred date, if we don’t have minimum numbers on the day we will call you to reschedule, or where another date is not possible refund your booking in full. Please assist us by adding other possible booking dates in the section provided on your booking form. 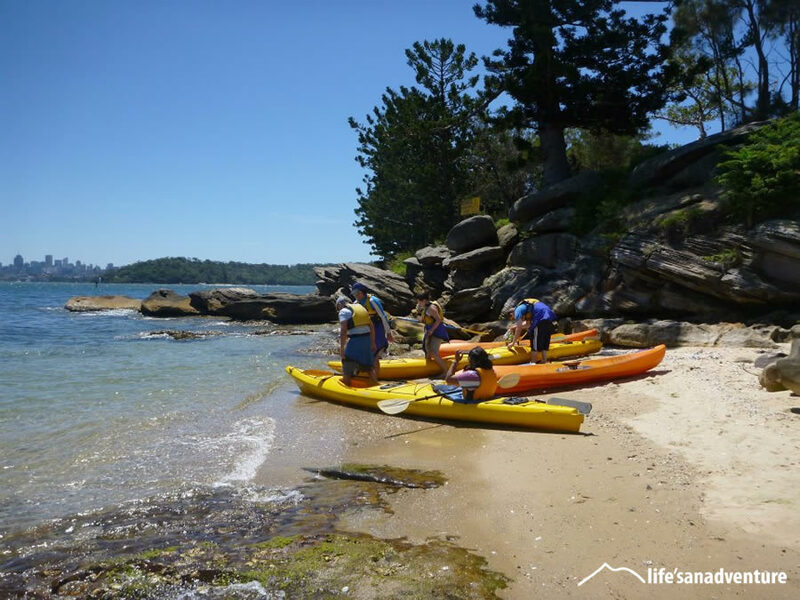 For bookings less than 48 hours please call us on (02) 9975 4553 to book or email enquiries@lifesanadventure.com.au. Alternatively, please use our Enquire form by clicking the button below. No credit card fees apply for bookings. 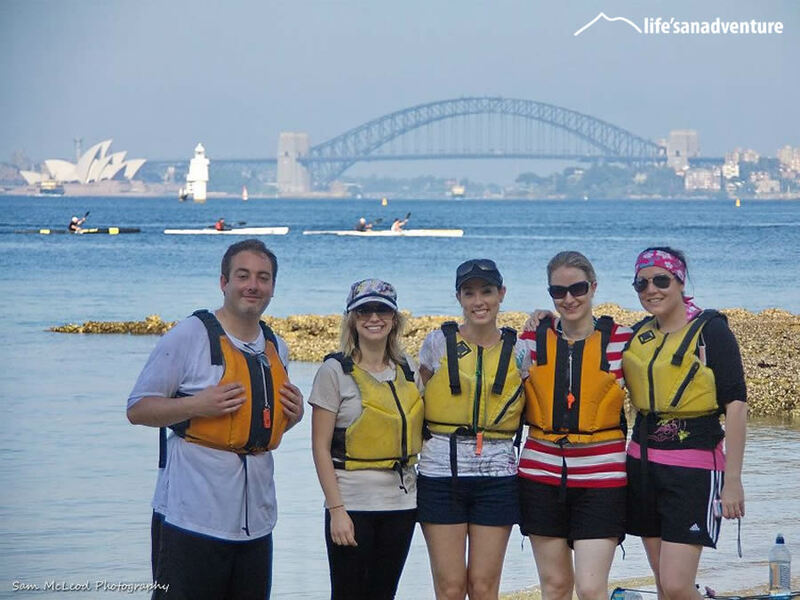 Are you ready for this Sydney Harbour Lunch Kayak? Meet at 10.30am on the beach front at Point Piper Rose Bay (near the play equipment), corner of Wunulla and New South Head Road (below Rose Bay Police station). Access to the beach front via this slip road just off of the corner on New South Head Road or the staircase near Point Piper Marina. 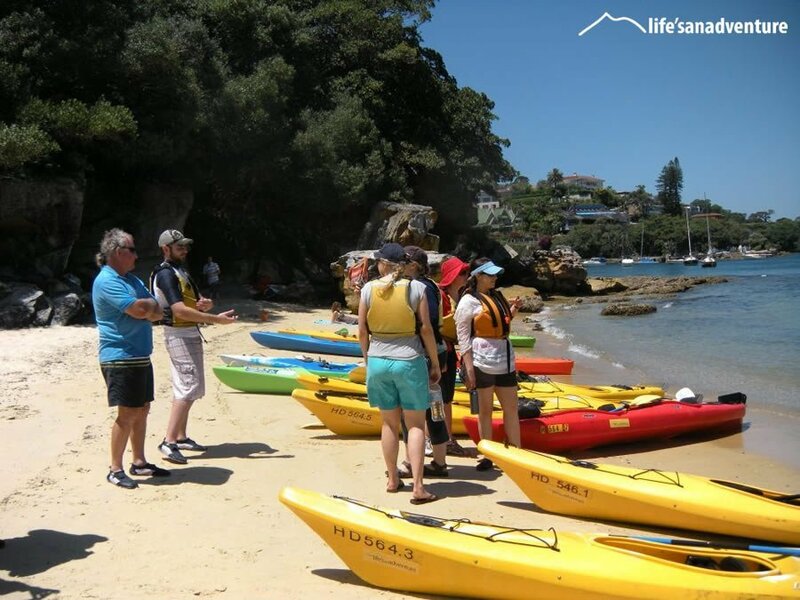 This is a 4 hour kayak tour on Sydney Harbour, including kayak tuition, paddling and lunch break, suitable for all persons with average fitness from beginners to advanced. To ensure you keep well hydrated, please bring at least 2 litres of drinking water. We also recommend a hat and sunscreen and if you want to enjoy the beach, bring your swimming costume and a towel. A PFD life jacket will be provided for you. It’s a good idea to bring a towel and change of clothes for after the kayak. You will get wet when kayaking from the paddle splash as well as getting wet feet as you get in and out of the kayak. Please wear comfortable lightweight clothes (no jeans), wear a hat and crocs or shoes which can get wet. Bring your swimming costume if you would like to enjoy a swim. Bring a lightweight wet weather jacket in case of rain. Please print out and complete. To save time on the day please print out and complete the following participant Indemnity form and bring with you. If you do not have access to a printer, not a problem our guide will have spare forms. 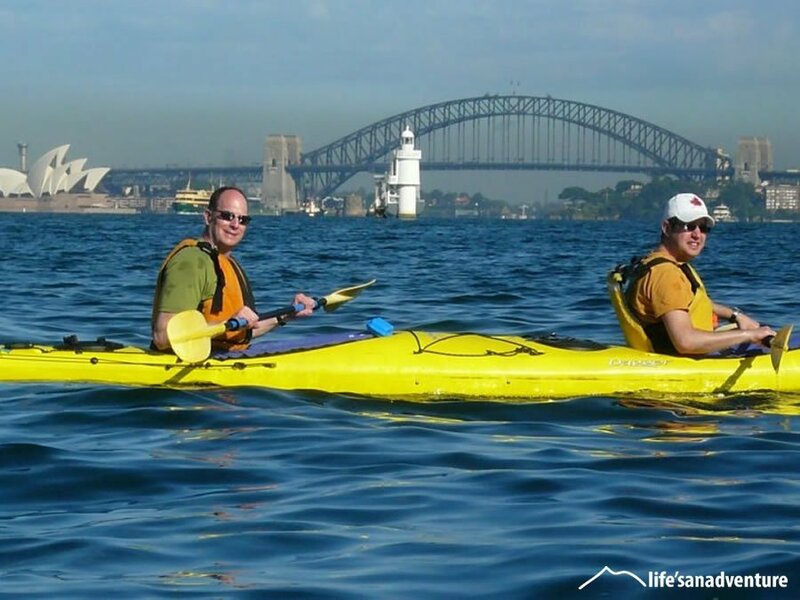 “Best day kayaking on Sydney Harbour” This was a fantastic way to see the harbour..on a glorious day in Sydney . Thank you so much Mark and Andrew ,Mark you are a gem, so very helpful and kind, and full of wonderful information and history. We absolutely loved the day , the lunch and beach stop..well done , great Aussie business, we will be back ! We did the full day kayaking in the harbour and honestly the best fun I've had in a long time. The two guides were amazing - funny, knowledgeable and explained everything so we felt more than comfortable in the water - we hadn't done anything like this before. The lunch on Shark Island was delicious. To be honest I was expecting some sandwiches and a can of coke and then we get there and there is a spread of amazing yummy food. We even had a bithday cake for the two birthday boys on the tour with us - one being my husband. It's just this personal touch that really made the day. Couldn't recommend them anymore and look forward to booking other adventures with them in the future. “Everyone should do this - Brilliant.” Four hours on beautiful Sydney Harbour does not get much better! Pauls' knowledge of the Harbour foreshore and coves was great and informative. The paddling was at your own pace, peaceful and we stayed amazingly dry. The kayaks were tandem and very stable. My husband and I are in our mid 50's and found the going very easy. Lunch was more like a banquet of salads, smoked salmon and ham, fresh bread rolls, and Juice, all beautifully presented. Sydney Harbour sparkled, yachts of all sizes were criss-crossing the waters, sea-planes were landing and taking off, and we had the best seat in the house (kayak) to see it all. Thankyou so much Paul and Life's an Adventure, we had a great time, and you will certainly see us again.